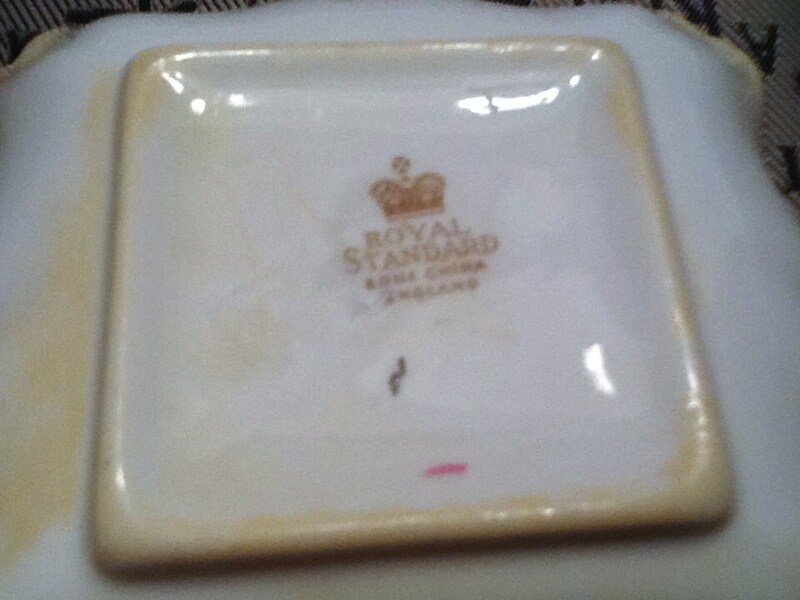 Early mid-century (1940s) Royal Standard | Chapman's square sweetmeats | cranberry dish. Carnations and daisies. 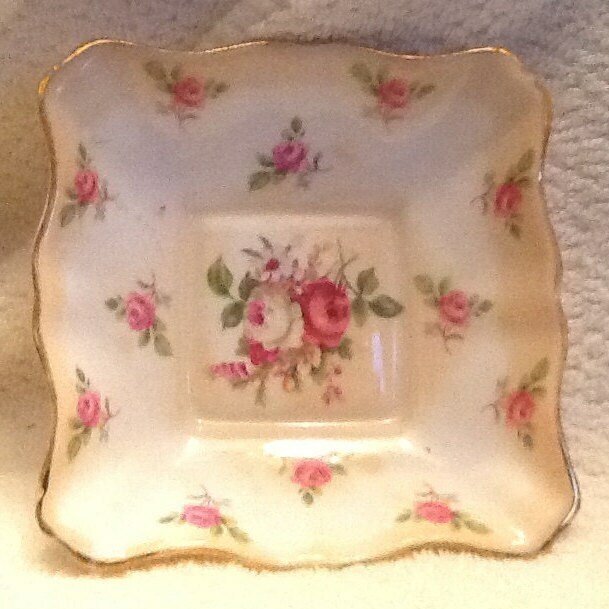 Early mid-century (late 1940s) Royal Standard/Chapman's (Longton, England) hand-painted square sweet meats dish featuring pretty pink and white carnations and daisies in the center of the dish, smaller pink carnations peppered about the sides and a graduated watercolor tan border around the rim and about the center. 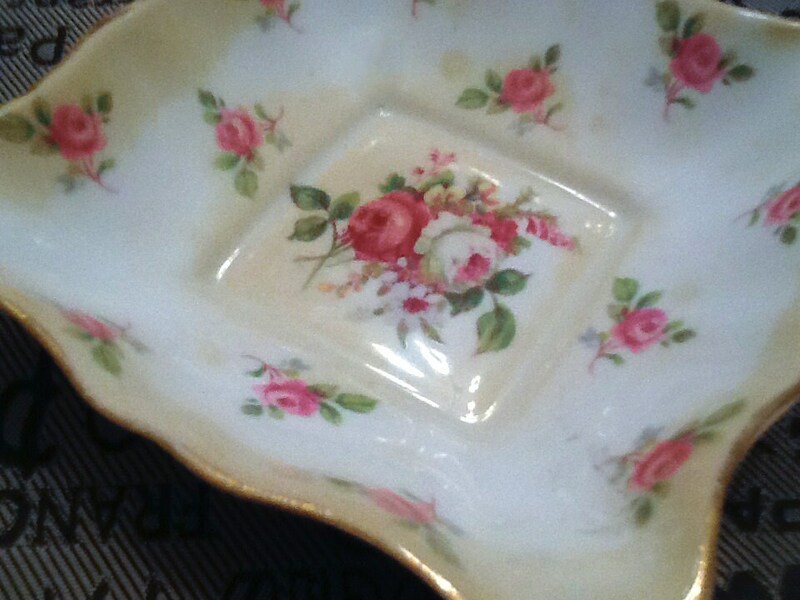 The dish has a scalloped, gilded edge. This dish has NO! chips, cracks or fleabites and NO! gold loss to the edge. 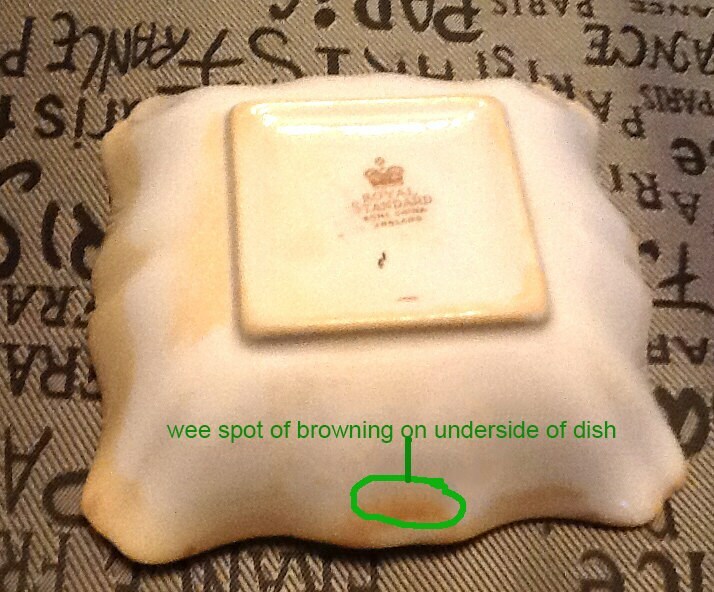 There is some minor browning through the glaze on the back side of the dish (not to be confused with the watercolor tan edge band and center sprays of tan color) so please DO! review the posted photos. 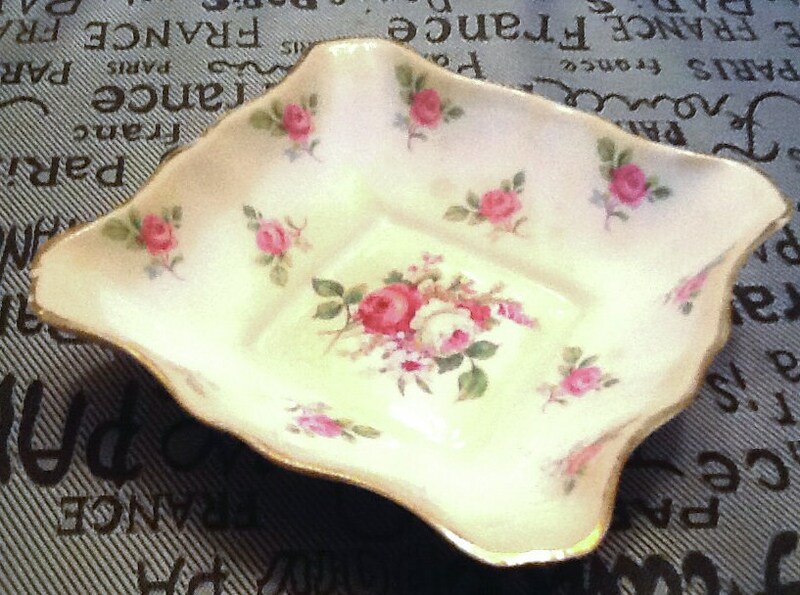 Approximate measurements: 6" x 5" x 2" in depth with a scalloped edge.